Captivating 1938 Palm Springs Spanish with the elegance and charm of an Architectural Digest magazine's beautiful home. 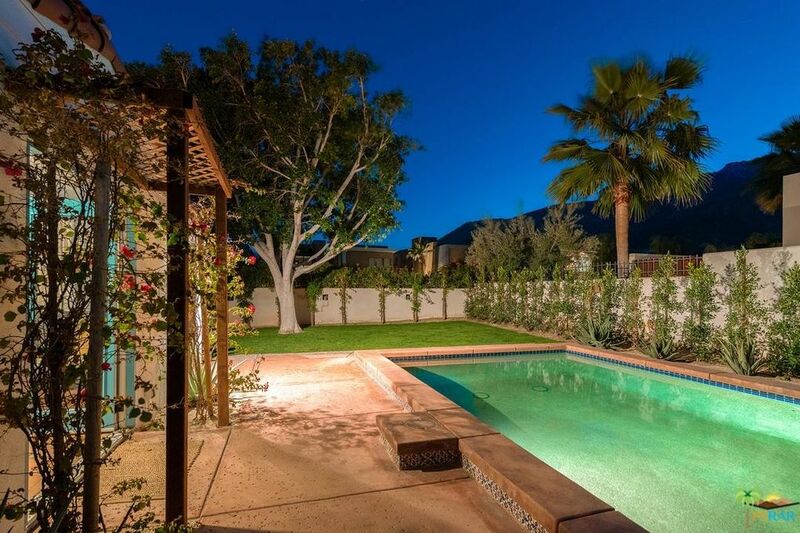 This is perhaps one of the most charming homes in Palm Springs. Single Family Home, with 2 Bedrooms, 2 Baths, Renovated kitchen, baths, pool & spa, landscape, more. Pristine tongue and groove beamed ceilings, Saltillo pavers throughout, custom paint tones, Chef's kitchen with commercial grade appliances, and updated. Enjoy the explosive mountain views from the rooftop viewing deck or from the Pebbletec pool and spa. Parking for 2 cars, (one carport). Just a short bike ride to Uptown Design District and Downtown Palm Springs. Close to fine restaurants, cafes, Galleries and Museums, Casino, I-10 and shopping. You OWN the land. It could be a fantastic Income Property.